Need an easy recipe for pulled pork? 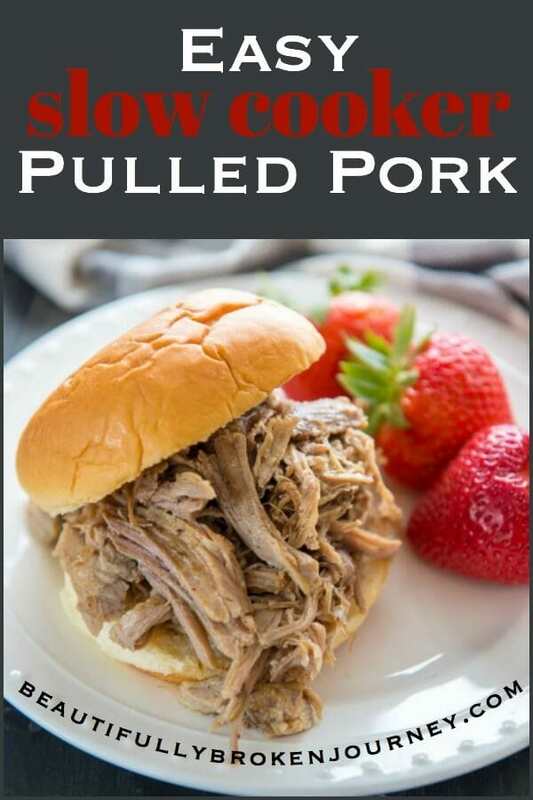 This Easy Slow Cooker Pulled Pork recipe is so simple, and is sure to satisfy your craving for tender pulled pork! 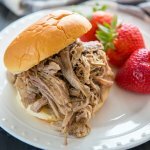 How do you make pulled pork in the slow cooker? It’s so easy! Place the pork in your slow cooker with spices rubbed on it and then slowly add the apple cider vinegar and chicken broth. Then cover the slow cooker and cook on low for 8-10 hours, or on high for 5-6 hours. I prefer to let my pork cook on low all day but if you are in a time crunch, you can cook it on high as well. Can you freeze cooked pulled pork? You sure can! 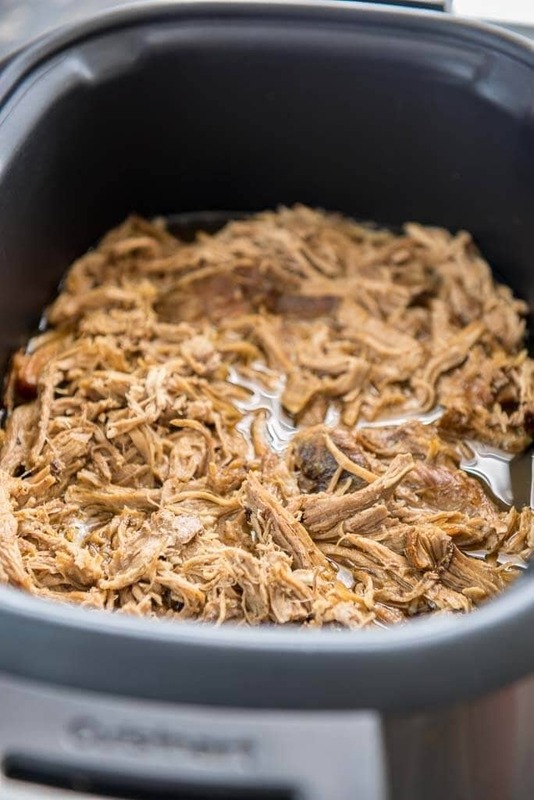 In fact, this Easy Slow Cooker Pulled Pork is a great recipe to prep ahead of time and then freeze in ziplock bags and pull out when you are ready to serve it. You can also use leftover pulled pork for so many recipes. Pulled Pork Taco Bowls- You can use my recipe for Turkey Taco Bowls and replace the turkey with pulled pork for a delicious and customizable meal. One of my favorite occasions to serve pulled pork is anytime I have family over. Even though I enjoy cooking, I tend to get a little stressed when I have a house full of people. 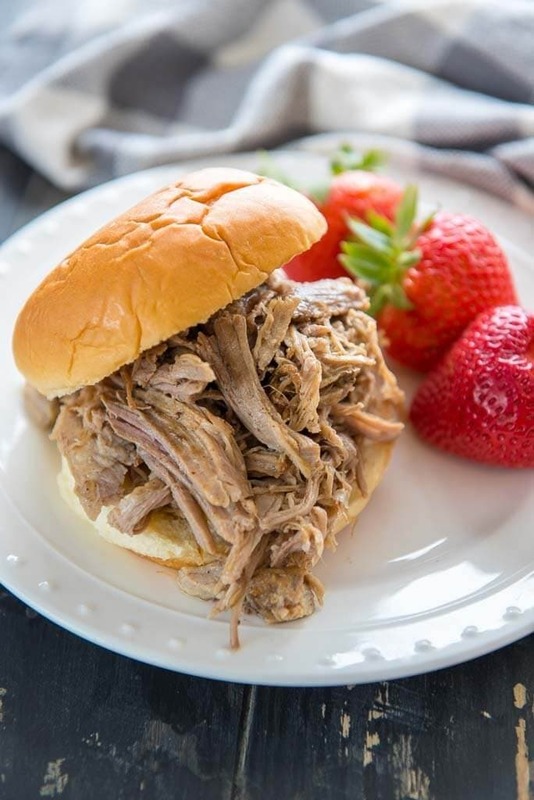 Making pulled pork in the slow cooker takes the stress out of making sure I don’t overcook the main dish… because the longer you cook pulled pork the more tender it is! I like to get up early and get the pork in my slow cooker so it can cook all day. It marks one thing off my to-do list early! Combine all spices in bowl and mix together. Rub spice mixture on raw, thawed, boneless pork shoulder. Place pork in slow cooker and gently pour apple cider vinegar and chicken broth into the slow cooker. Cover and cook on low for 8-10 hours, or on high for 5-6 hours. Place cooked pork on a plate and shred with forks. Return shredded pork into slow cooker until ready to serve. easy and delicious recipe! My husband would love this for sure!! I love slow cooker recipes, too! I simply love pulled pork! Looks so delicious and just perfect for a decadent dinner. YUM! Yum! I love meals that are delicious at first bite, and then can be used for so many other recipes after! This is ideal for a quick dinner. I love cooking in slow cooker, its so helpful. I do too! Especially for fall and winter! Do you add any additional barbecue sauce to the pork before serving? Or is it tasty enough on its own? I’m so excited to try this for company that will be arriving, since it is in the crockpot and will rid me of some of the preparation stress! I have a pork loin in my fridge right now. Do you think that would work well for this recipe? Sorry I didn’t see this until now! Did you use it? If so, let me know how it turned out.